Evanston Township High School, 1600 Dodge Ave. The District 202 school board will discuss withdrawing a controversial resolution Tuesday night. 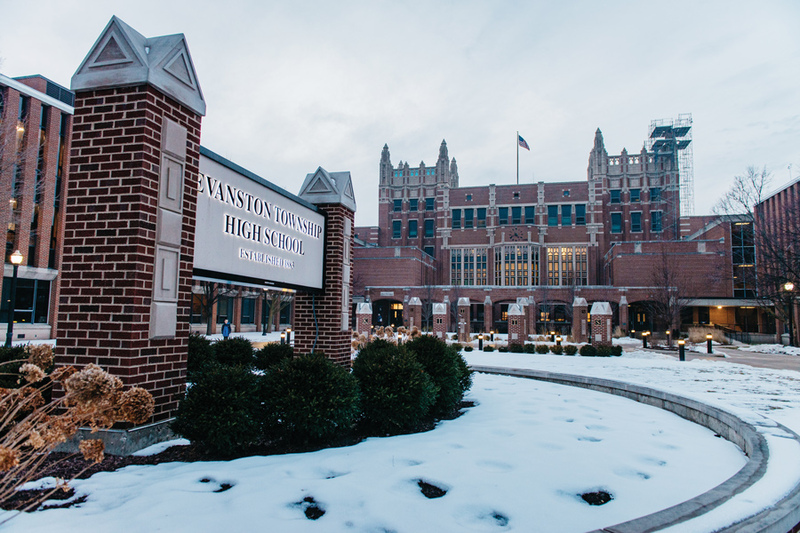 At their meeting Tuesday, Evanston Township High School/District 202 school board members will discuss withdrawing a controversial resolution that limits board members’ capacity to communicate with the public. The resolution, which passed 5-2 on Dec. 11, stipulates that written communication from the district superintendent or board president is confidential unless explicitly stated otherwise. It also prohibits disclosing information barring “extraordinary circumstances,” though the resolution does not clearly define what that means. Some board members feel the resolution infringes upon their right to free speech and violates the Illinois Freedom of Information Act. Jonathan Baum, a board member who voted against the resolution in December, told The Daily on Monday he was glad to see the possible withdrawal of the resolution on the meeting agenda, but the decision came “out of the blue.” He said he was unsure of what happened since the resolution passed to cause a potential “change of heart” in other board members. “If the argument (in favor of the resolution) is it doesn’t violate FOIA because we will continue to provide disclosures in response to FOIA requests … how will anybody know to request a communication under FOIA if this policy is adhered to by the board members?” Baum said. ACLU director of communications and public policy Ed Yohnka told The Daily in December that the ACLU was reviewing the resolution and waiting to take a definitive action. The meeting will take place Tuesday night at ETHS.